Sitting on the fence, distressed about taking the “right” step? Lacking clarity or confidence to take a leap? 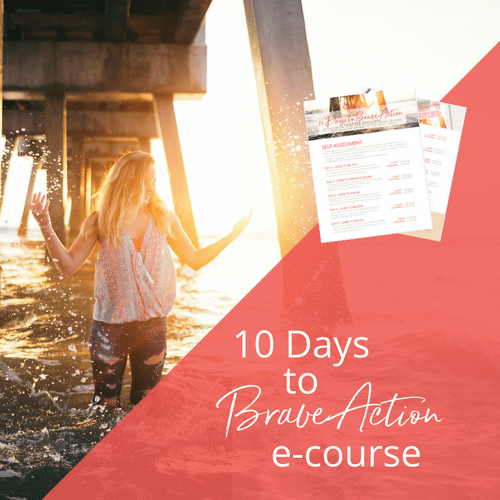 This simple 7 step framework has helped me and my clients move from analysis paralysis to courageous decision to brave action. learning the surrender of “my best is good enough for now”? Use this workbook to follow the same principles that helped my transformation. Set aside 10 days to find permission to be you, step up your game, get focused and live on purpose. A daily challenge based on the 7-Step Dare to Decide Framework, starting with a self-assessment. 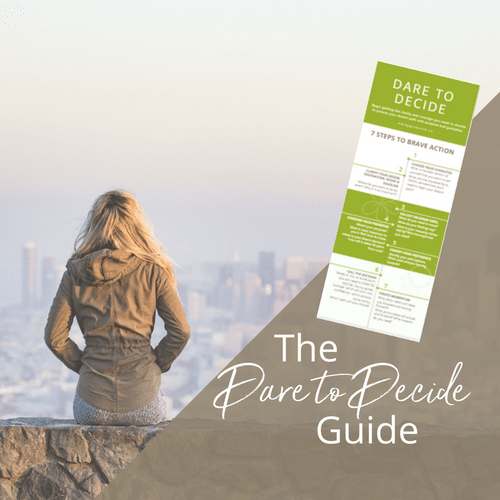 “I recently set out to begin my own online ministry and quickly found I was overwhelmed by the number of decisions and directions I was heading in. “As my coach, encourager and inspiration, Emily believed in me and drew out my potential and purpose. If you’re still reading this far… I see your hungry heart. Would you reach out and connect with me? I wasted so much time and energy in my 20’s and 30’s spinning my wheels, trying to muster the willpower and know-how to figure things out on my own. I wish someone who knew me and accepted me for who I am had sat me down, looked me in the eyes and enlightened me. Something important will always come up. You’ll always need more money. You’ll always need more clarity, inspiration and courage. When I was working towards my dreams, my appendix ruptured and I was derailed for weeks. At the end of my workday, I was dead tired. If I hadn’t backed up my dream pursuit with physical changes and accountability structures in my life, I probably wouldn’t have gotten around to them. I know what’s like to feel invisible. To enjoy helping others so much you’re taken for granted and your own dreams get ignored. That can be a positive quality — unless it’s your excuse. God has invited you to participate in His magnificent story. That’s what your purpose is all about, and that’s why you are worth believing in. Only when I chose to believe it to the core of my heart did I recognize and act like I had something worthwhile to offer the world. 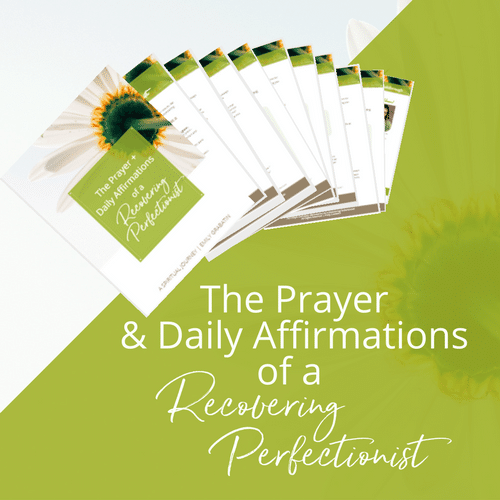 One of my most transformational lessons was the day I let go of perfectionism. Fear of failure gripped me. I had no idea it was causing me to try earning a good relationship with God. I didn’t know how to respond to people might disappoint, so I avoided disappointing them at all cost. Unfortunately, playing it safe made me lose out on all kinds of opportunities. Most days I still don’t feel like I have what it takes to do what God has called me to, but He daily assures me that He’ll fill in the gaps and be my strength in weakness. I love seeing how stories unfold for the characters over time. But I also found myself comparing and envying other people’s stories – people who dared to travel across the world for six months or actually get their book publish, or start a business when they didn’t have it all figured out. It wasn’t until I chose to appreciate my own story and live my own adventure that I found freedom from the comparison game. Someone is waiting for the inspiration and hope of your message.